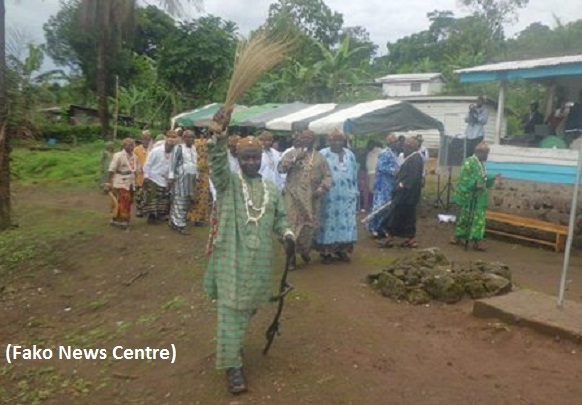 While enthroning the new chief, members of the Buea chief conference advised Chief Ndongo to treat all his subjects equally. 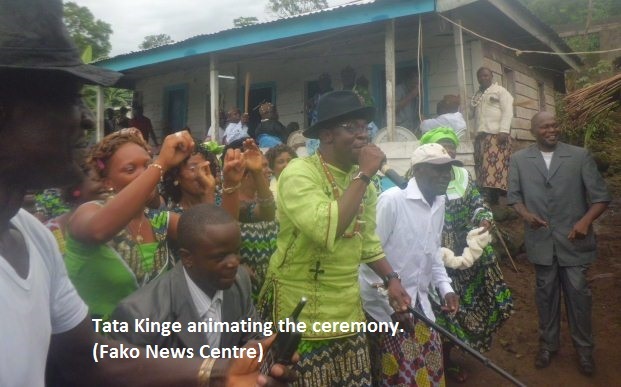 Chief Ndongo was elected by the majority of the chief makers during a consultative talk held by the Sub Divisional Officer for Buea last year. Though there had been some opposition from another camp of persons who had also vested interest to mount the traditional stool, both administrative and traditional authorities finally resolved to go ahead with the installation ceremony after carrying out investigations. 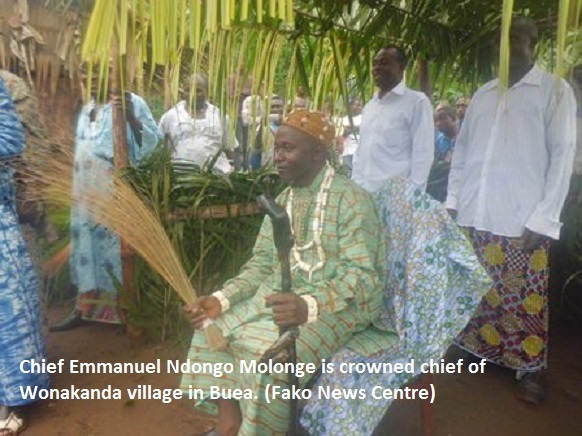 HRH Chief Emmanuel Ndongo Molonge is a teacher by profession and works at the Inspectorate of Basic Education in Buea. 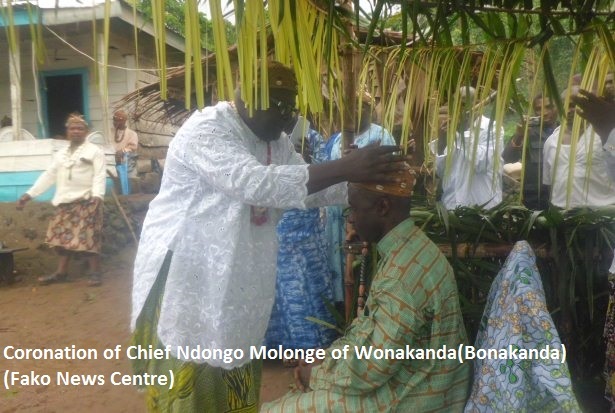 Wonakanda is one of the largest Bakweri settlements along the slopes of Mount Cameroon. The village has been without a ruler since February 1998 when the former village head, HRH Chief Gbwaye Nakie joined his ancestors. The occasion was graced by Tata Kinge who hails from Wonakanda.